“Having secured both of those objectives, I am pleased to announce I will vote in support the tax reform bill,” his Twitter statement said. 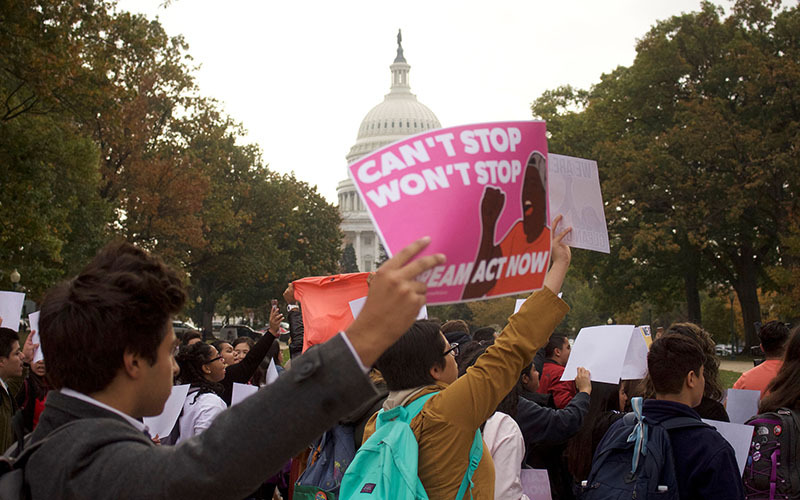 After President Donald Trump canceled the Deferred Action for Childhood Arrivals (DACA) program on Sept. 5, he established a March deadline for Congress to come up with a bill to protect the so-called DREAMers, but Congress is not close to a vote. DREAMers have been pushing for a “clean” DREAM Act that does not include additional conditions such as tougher immigration enforcement, but Senate Republicans want to couple DACA protections with border security measures. For Karina Ruiz, president of the Arizona Dream Act Coalition and DACA recipient, Flake’s announcement itself is a positive sign, but she doesn’t agree with the senator a hundred percent. “It gives me hope that he is coming out in this aggressive way and say ‘if there is nothing for these young people, we won’t move forward with the legislative agenda.’ And that is very, very important,” Ruiz said in Spanish. Instead, she said she is more supportive of a DACA deal that would condition the spending budget for the government if it doesn’t pull through. “We think that is more realistic,” she said. But with only three months left until the deadline, Ruiz said it’s more difficult to achieve a “stand-alone” DREAM Act. But there is one thing Ruiz said is not on the table.